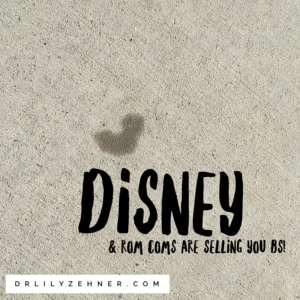 Disney and Rom Coms are Selling You BS! The other day I was in session with a couple and one said in exasperation how they wanted their relationship to be simple, easy, and like a rom com (short hand term for romantic comedy). She was angry and sad as she cried and pleaded for an easy button. I knew under her frustration was exhaustion and sadness about the process, the “work” the two of them were having to do to get to the other side of their current issues and heartbreak. She wanted relief. I heard her, I understood her plead. Yet, I wasn’t about to sell them a false reality like Disney and rom coms do. What we see in these movies and story lines are nothing short of ridiculous and unrealistic if I am being really honest. Allow me to keep it real. Relationships aren’t simple. They don’t come easy. They will never be completely free of conflict. A kiss doesn’t always melt the pain away and resolve all of the issues. Here is what I know. Relationships are complex and diverse, there isn’t a one-size-fits-all way to be in relationship. Relationships can provide a sense of ease yet they won’t be easy. Conflict is inevitable and necessary. A kiss can be powerful, it can allow for softening in a very tense moment, but it isn’t a magic wand that will eradicate the pain or the situation. Relationships require intentionality. Relationships require each person to show up and be present. Like riding a bike, relationships are a practice. They require honesty and kindness when addressing and resolving inevitable conflict. They require love and patience, grace for yourself and your partner. Kissing and the physicality is certainly important too. I shared these insights with them. I reflected back to them the relief I could hear her yearning for. And then I told them that I wasn’t going to be able to provide them with it, immediately. I didn’t want to rob them of the beautiful and brutal process that would allow them to deepen their relationship. I encouraged them to lean into the discomfort, to turn towards one another for support when they feel exhausted. To reflect back on good times during times of difficulty, to breathe and trust the process. This reality check helped her slow down, to come back into her body. From there, the two of them could bring their focus back to the practice of their relationship. In the end, it is my hope you can separate the fantasy from the reality. That you can enjoy the romance of a movie while recognizing that relationships are so much more dynamic and rich in real life. P.S. 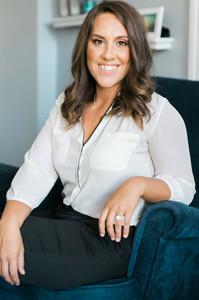 : As always, I invite you to connect with me if you would like support in the practice of your relationship. You can connect with me here.